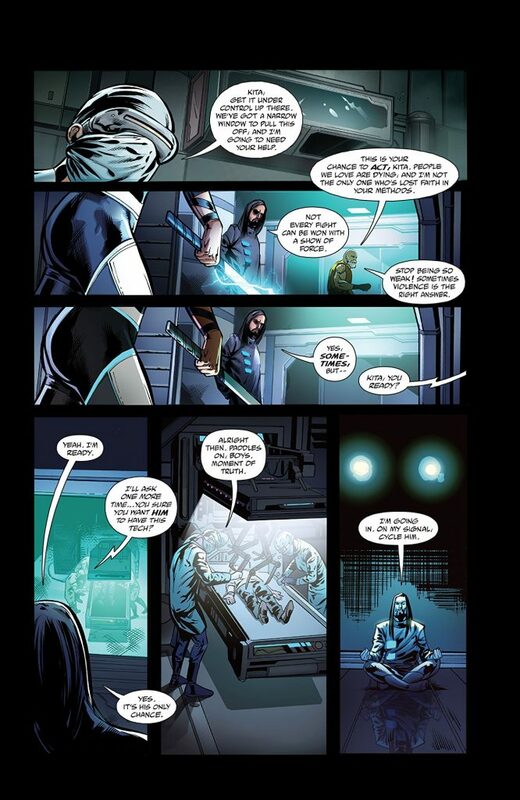 The highly anticipated NEON FUTURE sci-fi comic book series created by two-time Grammy-nominated international producer and DJ Steve Aoki, Eisner Award winner Jim Krueger (DC Comics “Justice,” Marvel “Earth X,”) and Impact Theory founder Tom Bilyeu debuted issue #1 nationwide with comic book retailers and digitally on Comixology March 27th, 2019. The comic book is an extension of the overarching visionary world of ‘Neon Future’ created by Aoki, which strives toward the singularity in a utopian convergence of technology and humanity. 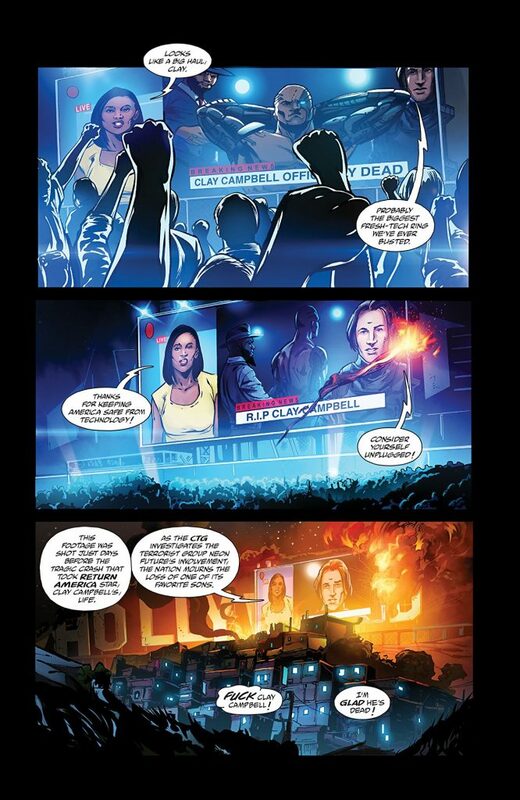 The “high profile” (Entertainment Weekly) comic book series is set roughly 30 years in the future in an America that has outlawed advanced technology. A civil war is brewing between the Augmented, an oppressed class of people who have chosen to integrate technology into their bodies, and the Authentic, who have not. The resistance movement “Neon Future” is led by the mysterious Kita Sovee, a character who bears a close resemblence to Aoki and strives to bring peace, by showing the world a brighter future in harmony with technology. 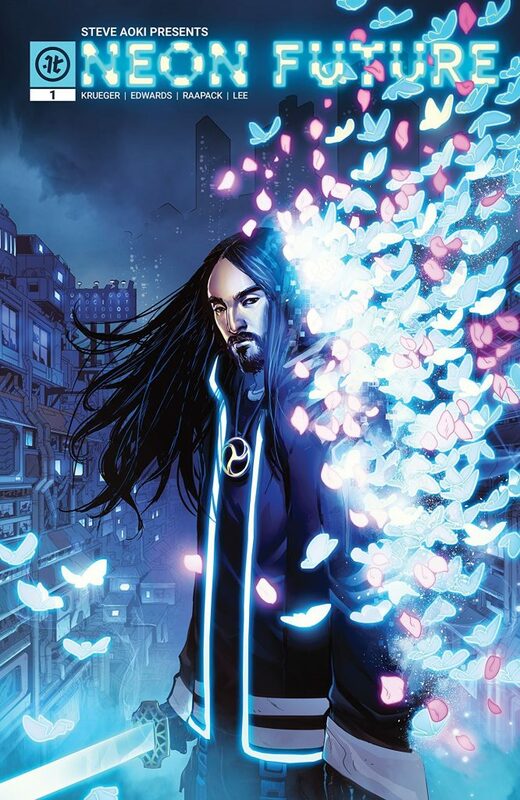 New York Times best-selling comic book writer Jim Krueger worked closely with Aoki to develop a universe that explores the societal, financial and political realities humanity will face from advanced technology, artificial intelligence, and automation. Imagination and reality blur as advanced technology turns sci-fi in the form of futuristic neural implants, weaponized A.I., robotic exoskeletons, cyborgs, augmented reality, hovercrafts and quantum computing. 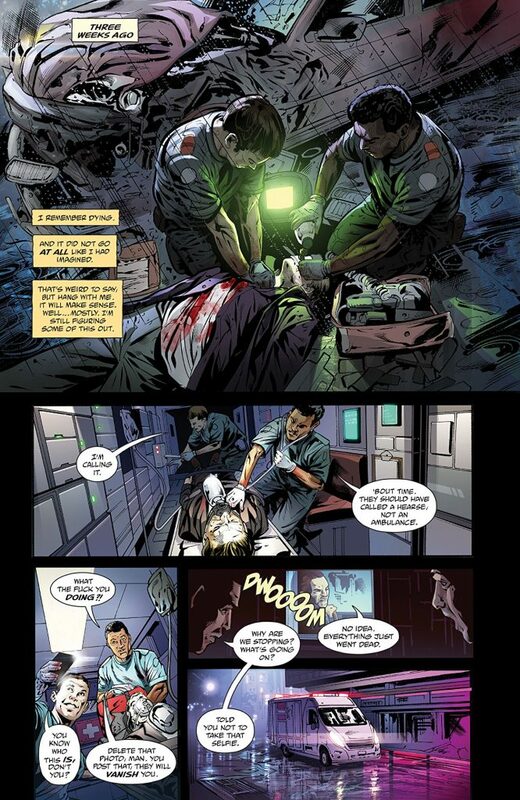 The first issue features multiple collectible covers with art described as “sleek” (Comicbook.com) and “absolutely breathtaking” (Comicsverse). The issue #1 main cover was designed by Jheremy Raapack (“Injustice: Gods Among Us,” “Batman: Legends of the Dark Knight,” and “Hulk Smash.”), with variants by Neil Edwards (“The Avengers,” “Superman,” “Spider-Man Season One”), Kim Jung Gi (Marvel “Civil War 2,” Blizzard “Siege of Lordaeron”), and Argentinian visual artist Mau Lencinas. Neon Future issue #1 cover and page art is available here and video trailer here. 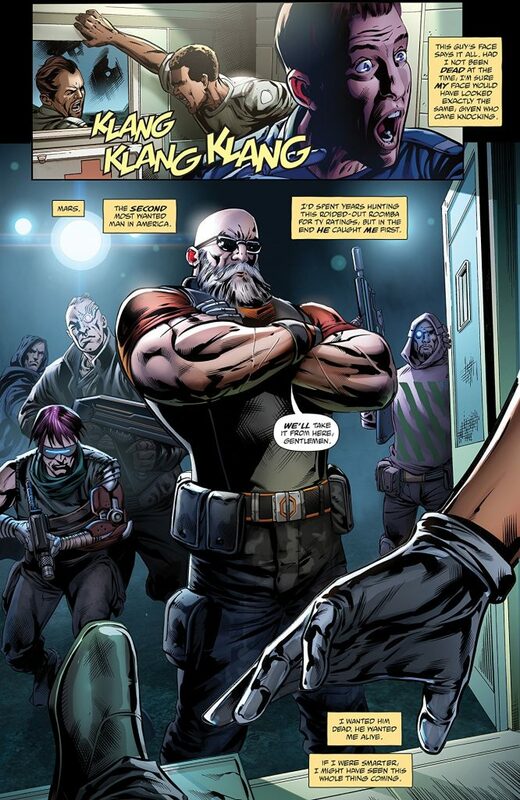 For the latest news on NEON FUTURE visit http://neonfuturecomic.com/ or follow Impact Theory on social media platforms at @itcomics. Pre-order issues through your local comic book shop or visit www.comicshoplocator.com to find a store near you. Digital copies are available through Comixology at www.comixology.com. Impact Theory’s primary mission is to tell wildly entertaining stories that focus on themes of empowerment, and bring together some of the most talented creators, writers, and artists in the industry. In a future where technology is illegal, a war is brewing between the Augmented, who have chosen to integrate technology into their bodies, and the Authentic, who have not. The resistance movement, Neon Future, strives to bring peace by showing the world a brighter future in harmony with technology. 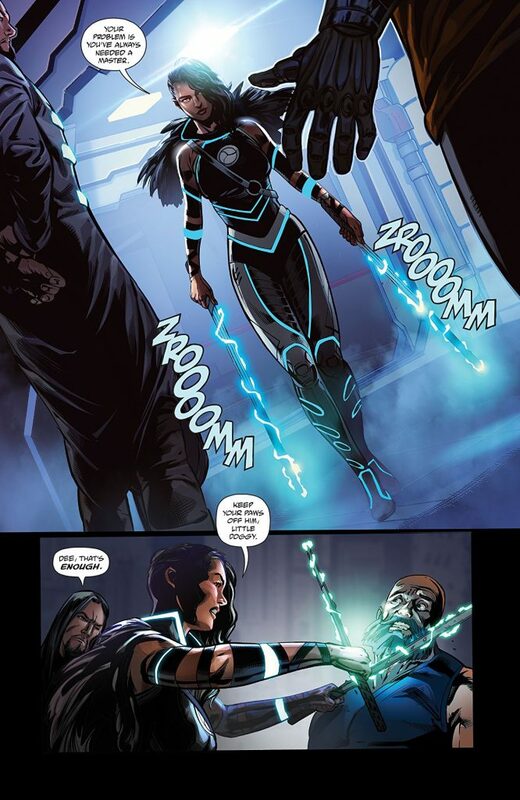 But when Authentic hero and TV Star Clay Campbell dies unexpectedly, Neon Future’s mysterious leader Kita Sovee (inspired by Steve Aoki) is forced to decide whether to use his latest technological innovation to bring Clay back from the dead. This choice threatens to tip the uneasy balance between the government and the techno-class into an all-out civil war. From Eisner Award-Winning writer Jim Krueger comes an innovative and compelling story of the dangers of fear and the power of human potential. Nearly thirty years from now, in response to a global economic crisis, the U.S. has enacted Article 10, commonly known as “The Return,” which made all advanced technologies illegal. The Return promised to create jobs by eliminating the technology that had displaced so many workers through automation. But the lasting result has been an increase in the class divide, blatant bigotry, and a war between the Augmented, who have chosen to integrate technology into their bodies, and the Authentic, who have not. Out of the systematic oppression of the techno-class, a resistance movement known as Neon Future was born. Led by the mysterious Kita Sovee (inspired by Steve Aoki), they strive to bring peace by showing the world a brighter future in harmony with technology. When Neon Future brings TV star, Clay Campbell, back from the dead with a rare technology, the uneasy balance between the government and the techno-class is threatened. Clay learns from the elusive rebels about the true nature of his past and his unexpected role in a brewing civil war. From Steve Aoki, and Eisner Award-Winning writer Jim Krueger, comes an innovative and compelling story of the dangers of unchecked fear and the limitless nature of human potential. STEVE AOKI is a 2x Grammy-nominated international producer/DJ and founder of the trendsetting record label, events/lifestyle company and apparel line Dim Mak. Aoki is a tastemaker, entertainer, designer, entrepreneur, and philanthropist. In 2012, he started THE AOKI FOUNDATION whose primary goal is supporting organizations in the brain science and research areas. Musically, Aoki is known for his genre-spanning collaborations ranging from BTS to Migos, Linkin Park, Louis Tomlinson (One Direction) and more. His debut artist album was nominated for a Grammy in the Best Electronic/Dance Album category. His follow up albums Neon Future I and Neon Future II were certified Gold. In 2017, Aoki released Kolony (via Dim Mak Records / Ultra Records), which debuted at #1 on the Electronic Album charts and marked his first full turn into rap music. Most recently, Aoki released his singles “Azukita” with Daddy Yankee, Elvis Crespo and Play n Skillz and “Pretender” with AJR and Lil Yachty. With his second Grammy nomination in the Best Music Film category as the subject of the 2016 Netflix Original documentary “I’ll Sleep When I’m Dead,” countless awards, including holding the Guinness Book of Records title for ‘Most Traveled Musician in a Single Calendar Year’ and TV appearances from The Daily Show with Trevor Noah to Martha & Snoop’s Potluck Dinner to X Factor (UK), Aoki is a truly a global force. Impact Theory is a content studio made up of some of the most accomplished and exciting producers, writers, and artists in entertainment. We believe that stories have the power to change people’s lives in the most profound way possible. Our goal is to tell stories that are wildly entertaining, but also empower at the same time. Our stories will inspire you to take action and push yourself to your limits. No matter what Impact Theory story you read, at the end, win or lose, you will have changed as much as the character. That’s our mission: that you walk away with the conviction that anything is possible if you’re just willing to pay the price of change.